While one of my many recent forays into the jungle that is my daughters living quarters, I came across this charming series of cards. While I was not present during this fraught with emotion encounter, I can pretty clearly see how it all went down. The choice here is clear. He either says Yes, Gaining him a "You ROCK!" 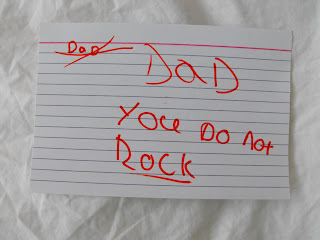 status, or the dreaded "You do not rock". Not even a name use there. 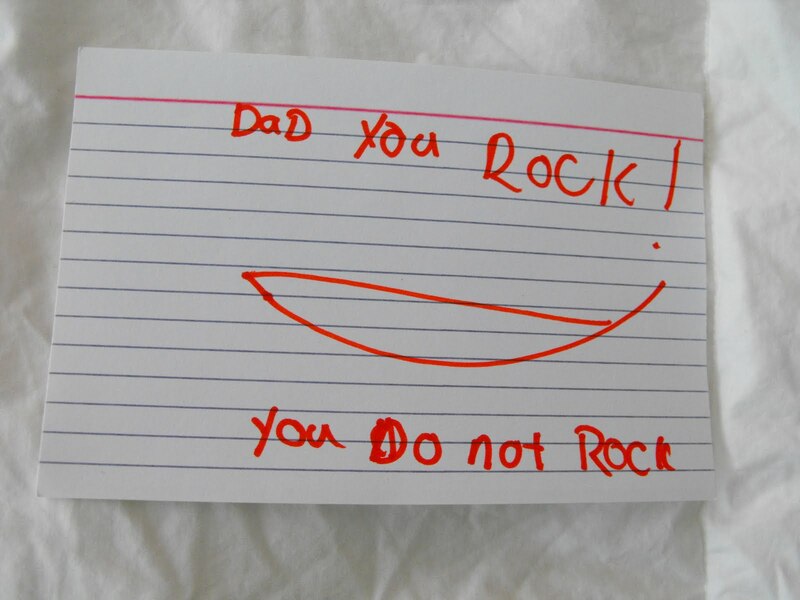 Not even "Dad, You do not Rock". In one fell swoop she is stripping him of his title and familiarity. He has become the Voldemort of Fathers. He shall not be named. His choice is a stark one. Does he keep the ring and become all powerful, or return it to Mordor and save the Shire? Oh wait, that is a different story. The consequences, however, are nearly as dire. What was his choice? How did it all end? 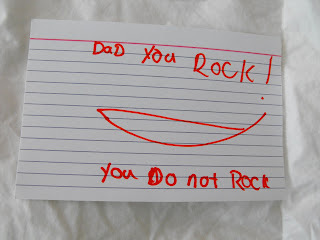 With extra emphasis on the "rock', to demonstrate how hard he Does NOT rock. I can only surmise he said "No". Emily totally ROCKS. With capital letters and everything. 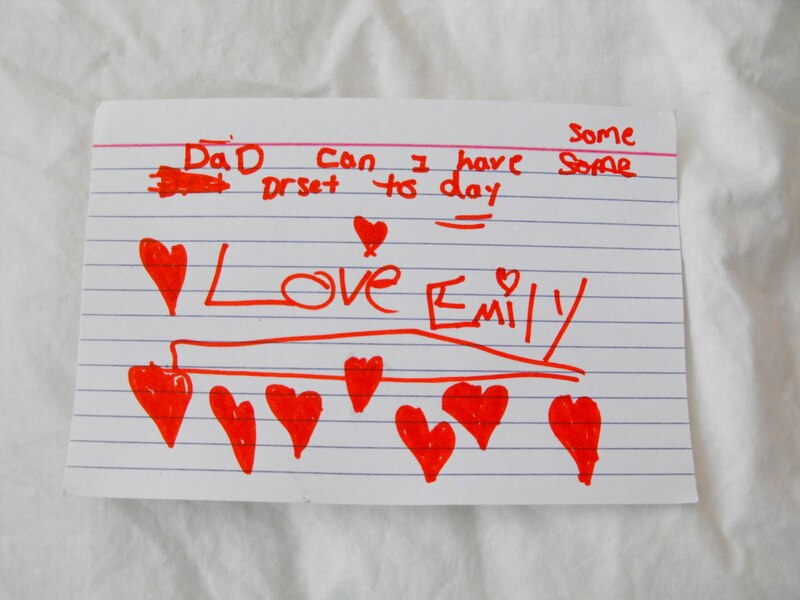 I can see my daughter doing that in a year or two. Right now she resorts to speaking more loudly, like an ugly american who assumes the swede she is talking to JUST CAN'T HEAR HER. No, the swede just doesn't want to give in to the dessert every day request. This is hilarious. 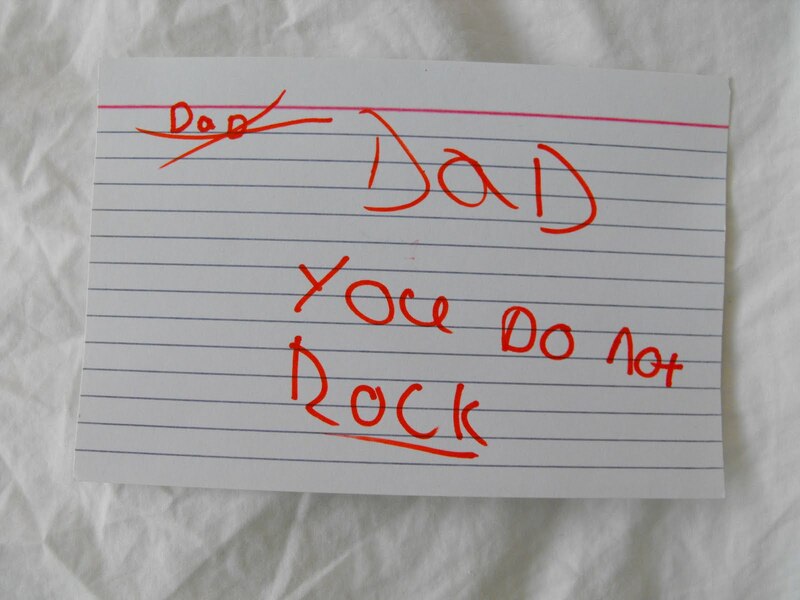 I'm going to start telling people they "do not ROCK" when they disappoint me.